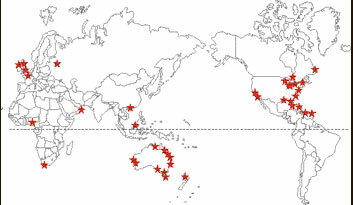 Made for the 2006 North American Women’s Invitation. 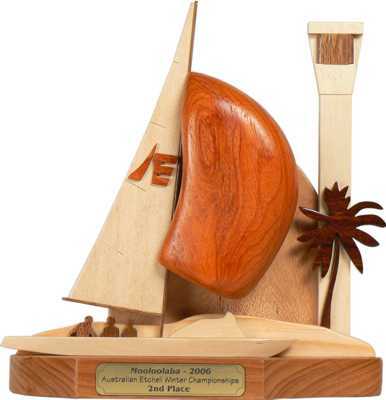 Sailing off Mooloolaba, Queensland, with their distinctive, modern, lighthouse in the background. 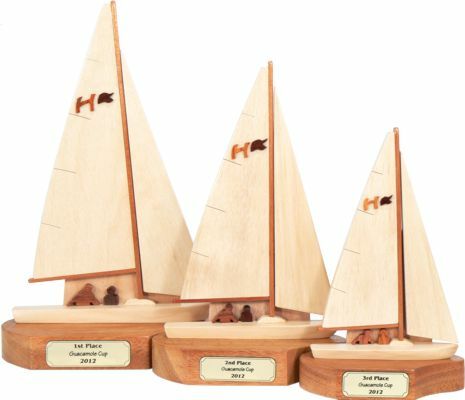 As with all our trophies these Harbor 20s are shown in 3 different sizes suitable for 1st, 2nd and 3rd places. 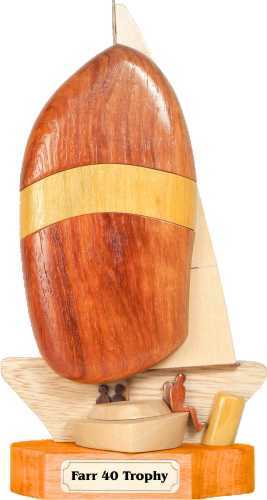 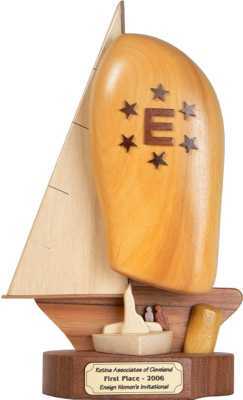 We can create front or side view trophies for your sailing class. 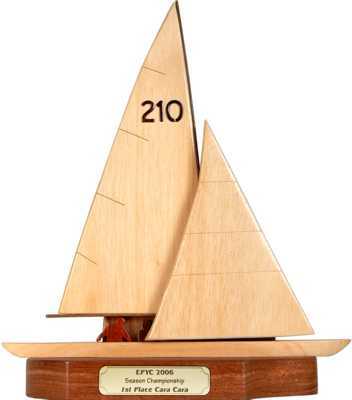 An elegant and sleek jib and main class .